Griff how do your lot decide on allocation. One of the reasons I'd be keen on a smaller syndicate is the extra time onboard I would get that could be more evenly spread over the year as opposed to a week in January and February I got this year, plus 2 other weeks that were very nicely spaced out I must day. Also knowing I have more time aboard I'd probably spend most of my weeks as short breaks so to get down more often without using full weeks off work. Personally, that is a deal that I am very happy with. I feel comforted that someone with Vaughan's experience is thinking along the same lines! I suspect that if you have the flexibility then this does make a syndicate a more attractive proposition. I think its very much down to personal circumstance in the long run. Looking at Griff's response, I'd say that more or less all of the remedial work is completed by the syndicate. What would the cost of lifting the boat annually for cleaning be? Who would provide repairs to defects reported by owners at the end of their holidays and how would they be funded. Even what appears to be relatively run of the mill repairs are costly - a new fridge fitted to Moonlight Shadow recently was circa £700. The four skippers report defects to each other, they are jumped on immediately by anyone of us or sorted out at the earliest opportunity. We don't wait til the end of a holiday either. For instance I had a raw water pump on the Beta fail last August when I arrived at Beccles, a few days later whilst we were in Wroxham I replaced it mysen it was delivered to us by a local friend. It can be used as a clubhouse for impromptu cocktail parties if there﻿﻿ is bad weather during the spring meet! Actually, you've highlighted one of the big benefits of hiring over 'syndicating', namely the ability to match the boat to the crew and what you want to do on your holiday and change that every time if you want to. I hired 3 times in 2018, with a different crew on each occasion, so when solo I had a basic aft cockpit, when with Mrs Broads01 we had the delicious Swancraft (Mrs doesn't do basic) and with my mum and daughter we went with a basic fly bridge with loads of space and 3 cabins. Syndicate-wise Goosander is lovely for a crew of one or two but that's too restrictive for me and much as I like forward steers I wouldn't want that every time. Similarly Thunder and Lightning are both lovely and would suit a crew of 3-6 very well I think but whilst no doubt could be handled solo I'd rather have something much smaller. I appreciate all you say but I am not sure you can compare BA to the normal syndicate boat. We all know the story of how you found her, rebuilt her and are now running her as a preserved classic with the help of dedicated friends. I am sure that the success of your syndicate is partly because you run her on the lines of a warship, just as my father used to do on his boatyard. The sight of boats such as Broad Ambition, cruising the Broads with flags flying, is, in its way, just as important for our history as seeing that great black sail of the wherry Albion, coming round a bend. You may call her a syndicate boat but I notice in a previous post you said you were a "custodian" rather than an owner. I have great respect for what you are doing but also for the fun that you have doing it, and I salute you! Griff how do your lot decide on allocation? This is an easy one bearing in mind there are only four skippers. I run a word doc. It is only amended when a 'new' booking instruction is emailed to me, I then email it out to the four of us. Last years booking diary ended up at amendment #27. This year we are currently at amendment #01. We operate the bookings diary on a first come first served basis with the understanding that for special occasion events we TALK to each other and have due consideration and understanding. It is rare that more than one skipper wants the same dates but that can happen ie the spring NBN meet - Easy answer - We all go together as we did last year (Well that is three of the four skippers). The Lads Week is booked a full year in advance but that is in October so not a sort after set of dates normally. It is also very rare for the four skippers and partners to have a weekend out together which is a shame, we have done it just once that I can remember - Note to self - Lets do it again. Last year 'B.A' was crewed up for 091 days which left 274 days available. There is NO allocated weeks / weekends per skipper share. 'B.A' is operational and ready to go 365 days a year. There is no closed season for her other than river ice outside the wetshed - yes it has happened. 'B.A' is insured 'Fully Comp, Any Helmsman' plus a 30 day coastal allocation. This means anyone of the four skippers can lend (But NOT hire) 'B.A' out to whoever they wish. It rarely happens even when we do offer her. I offered her out to Polly and crew whilst Brilliant is undergoing her restoration but the whimps (Pun intended) have yet to take me up on the offer. She has also been offered out to Malankas crew before now - again offer not taken up. My lad Dale has taken her out on a few occasions - It's about time he did so again. Here's the cruncher though. If 'B.A' whilst on the rivers in the hands of a 'Guest' skipper were to cause damage to a third party or suffer damage herself for whatever reason then the owner Skipper that lent her out is responsible to make good on behalf of the three other owner skippers, if that make sense. I wonder if I might offer a different perspective on this, as the subject of the thread is "thoughts"? I have a lifetime (literally) in the hire boat business, so I know how much it costs to run a hire boat. 1/. We like to have plenty of space when we are living on a boat in comfort. 2/. 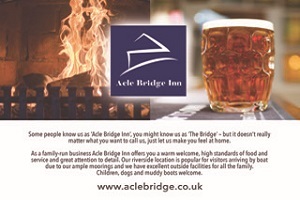 We can invite family and friends to join us for a night or two during our holiday. 3/. It can be used as a clubhouse for impromptu cocktail parties if there is bad weather during the spring meet! 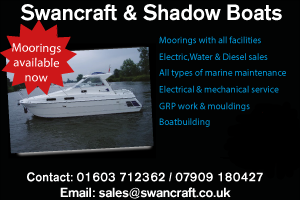 Meantime, we have a great boat, maintained in top class condition and the hire price includes winter moorings, maintenance, servicing, upgrades including a new engine, damage repairs, insurance, river tolls, "management fee" and free car parking for our camper van. 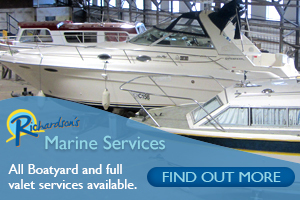 We also have the protection of a full breakdown service which is 24hr if necessary, we are provided with bed linen, we don't have to clean the boat in more than a cursory fashion (although of course, we do) and we don't even have to pump out the toilet tanks before we give it back. Depending on the speed that we have been driving it, we might even get a few quid back out of our fuel deposit! In late October we might well book a smaller boat for a week, which will still bring our annual costs for 3 weeks on the Broads to no more than £2000 - total. 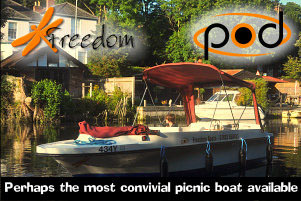 In addition, we have the choice of whatever boat, from whatever yard, we wish to book it. But we don’t get a choice of boats! Thunder is also well equipped inside- shore power, immersion heater, a new spring mattress, a galley equipped to feed about 20 people and more. I paid £3,500 for my 2 week share about 5 years ago and it has cost £900 a year plus fuel and pumpout. A couple of those years we had an extra week. And as a bonus (for us anyway!) we get school holidays! That is a deal that I am also very happy with! Like Matt we bought into Ranworth Breeze in 2001 after looking for a Narrow Boat syndicate, we run on similar lines to Thunder and the other syndicates, but like all the syndicates have slight differences on the way they are run. 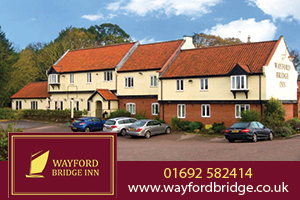 We paid just under £8,000 for a share and the fees at that time were around £300.00 at that time, by 2011 (the last year with a management company) the fees were £980.00 per share. Our management fees last year were £650 and for 2019 are £700, the boat has never been better maintained or upgraded. Most syndicate members will tell people that they should have bought into a syndicate years ago, but will advise people that syndicates are not for everyone. At the end of the day the choice is yours and you should go down the route that rocks your boat. Vaughan - nearly as important as Albion, but not quite!!!!!!! I see two forms of syndicate boat. The syndicate boat that people buy into, perhaps not knowing the other members, or a syndicate of friends who buy a boat between them. I can see also the advantages and disadvantages of both concepts. The minefield of the group of friends buying a boat between them can be pretty horrendous. you might be stretching old established friendships beyond their limits. I can't help but feel that the BA's group is the exception that proves the rule. When my parents owned a boat on the River Stort, there were several occasions where two families would pool their resources and buy a narrowboat between them. I am not aware of any occasion when this didn't end in tears, serious tears mostly ending in broken marriages. I often heard both sides of the story on these occasions, and ignoring "love triangles" etc. I did see why things went wrong. Mostly it was very small problems, which over time grew out of proportion. Often those issues were because "unwritten rules" were broken for one reason or another. I don't know if some of BAs rules are in black and white, but in my opinion they should be, I believe that resolves many problems. Things like "Oh I'm sorry but we had to get away early and didn't have time to do a pump-out" are the sorts of issues that can get out of hand. Minor bits of damage or wear and tear not addressed... "Oh why is it always me who has to clean the fridge?" Everything needs to be in black and white, clear to both/all parties and agreed from the start just what is expected. This is where "Syndicates of friends" are often vulnerable with one party relying on the "old pals act" more than the other. So, all those thinking of going down that route beware. It can be the road to milk and honey, or, if precautions are not taken, the road to hell. Although of course we can book the boat in for a clean at the yard on return, which costs £25 + VAT and if you build it into the cost you expect to pay, it still beats hiring. The management company is definitely the biggest avoidable cost, I think, although if you don't have one then one or more people need to run the accounts, share sales, turnarounds, maintenance etc and that's not a small task for a boat that has 14 owners and (in theory) a 50-week season. The work would clearly be less for a smaller syndicate, though, and most of the comms and discussion could be done via a private Facebook group or even a 'Club' on the NBN forum rather than lots of emails flying around the place. Our syndicate is doing more work on the boat itself now, and that is certainly saving quite a bit of money, but major tasks are left to the professionals. I've been on BA in the shed during the biennial maintenance period, and the amount of work the boys undertake on her is huge. There's no doubt it's the cheapest way of doing it, but if you're limited on annual leave then it could mean giving up a week's holiday so it is a bit of a balancing act. There's no doubt it's the cheapest way of doing it, but if you're limited on annual leave then it could mean giving up a week's holiday so it is a bit of a balancing act. "You can't baffle me with long words". "No, we had separate ones built"
I have an unreasonable fear of long words, they really scare me. I think that going into things 'eyes wide open' is not always easy when you have a real passion for what you are seeking to achieve. What I mean by this is it seems you are pretty set on a particular type of boat (AF Lowliner) and are trying to formulate the best way financially to achieve this aim, both in the initial period of purchase and the subsequent longer term ownership. Firstly these boats are getting on these days - all have been through hire and are rare to come up on the market. Even nice condition ones, such as 'Evening Star' which was sold not too long ago and had extensive refurbishments done a few years ago from new seating, headlining, carpeting, heads, mattresses, external paint etc etc was still and always will be an ex-hire boat with a BMC engine in it albeit in good working order. Now that boat was a particularly good example, but it was on the market for close on £58,000 and while comfortable and decent looking inside, this is not a respected marque like a Sealine, Fairline, Princess, Broom or Haines and yet it commands such a price based purely on the location and waterway it is on and the condition it is in cosmetically. Let's presume another Lowliner came to market hat had not had that level of refurbishment and was more reasonably priced, what the first challenge will be is if you bought it outright is finding individuals willing to 'go in' with you as part of a syndicate, or who would wish to do so initially and spread the purchase price. 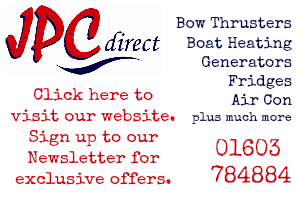 Even some long standing friends might find this a stretch not just financially but to go into boat ownership together either without any previous boating experience or just hiring for holidays. It is a big ask - a lot of trust and commitment is needed. A managed syndicate removes a lot of the worry - sure the costs are higher per year per person, but it is the fact it is all taken care off - a boatyard will deal with the boat and its engineering/upgrades and everyone will be asked to put some money in the pot to cover this. The boat then will be in tip top order for their allotted weeks. If you wanted to run things on a more DIY basis where people might come to the boat and do work on it, you save money but...I fear you would not get so much interest from the general public to buy into such a syndicate leaving it firmly in the realm of people you know, who know each others strengths and what they can do and what their limits are. I think it would be great to have a new syndicate on the Broads but with shares often available in existing syndicates which do cover a range of boats it clearly is not a market that has under capacity. I also think, and I hope this is not wrong to of me to ponder, that if a yard, let us say Brooms for argument sake, brought a brand new boat fitted out to the highest standards but not as a hire boat, but as a managed syndicate boat with a set purchase price per share and a set yearly running cost with the boat looked after on site by their staff and with the back up of their engineering staff for call outs etc it would not only do well but existing syndicates may suffer if people wanted to pay more for their share cost, but in return have a brand new high-spec boat to enjoy. My feeling personally therefore is consider finding the people willing to be the syndicate members, then meet and as a 'team' go look for the right boat. Get some proper financial plans for the running costs, I have a small 24ft Sheerline, that has cost about £10,000 in a season to have hings put right or improvements added to it, that would never be recouped if it was sold but goes to show how much money can disappear into a boat when you let boatyards do all the work and you want things done to a high standard. Otherwise have a group of like minded people who don't mind rolling up their sleeves, who can bring some varied skills to the table and keep the costs of running the boat down. 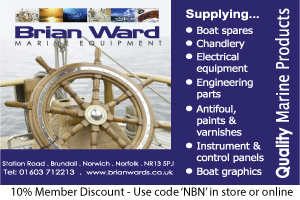 Even then, the unknown can and will happen - this year on Broad Ambition we have had a start motor needing replacement, a raw water pump, a shower pump impeller to be fitted. Later this year we will add load bearing 'Holly & Teak' laminate in the wheelhouse, a good upgrade but which comes at a cost. Always something to do, fix, improve. Robin - your first paragraph is probably spot on!! And I don't even like the Lowliners - I suspect I am not the only one!! Yeah I'd also agree with your first paragraph being spot on. I'm very fond of lowliners and have seen in the past others are too and it's been mentioned about if one was syndicated so thought I'd test the water and see if there was a the demand for one. Think what this discussion has done though has made me realise just how difficult it would be to start from scratch especially with strangers and different points of views. Agree with what you say Mark just the same on ours no one else wanting to take on a responsibility. I know a few syndicates have gone the managed to self-managed route but have any ever gone the other way?